There's just something about this spiky, green and gravelly garden that draws me in. That's what I enjoyed most about visiting this garden on the Water Saver Landscape Tour in San Antonio last fall. 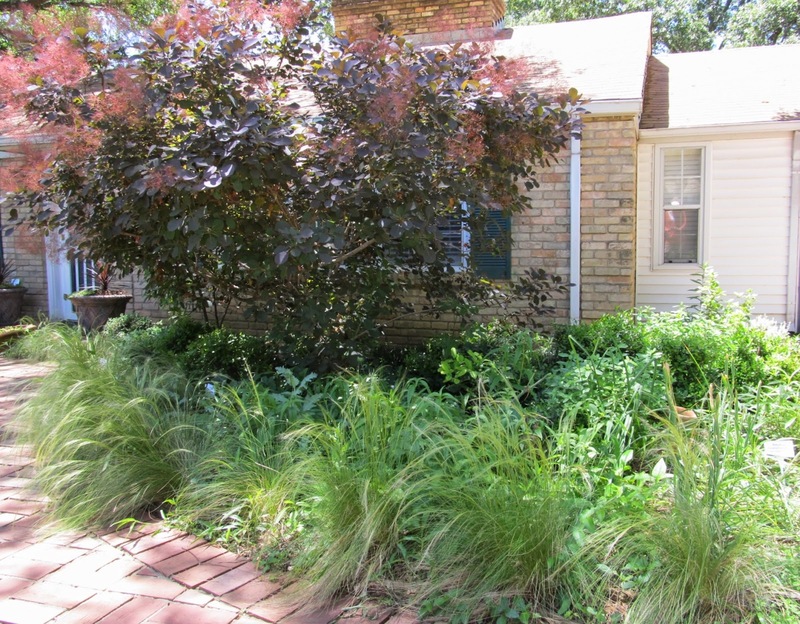 The tour is held each October to inspire San Antonio homeowners to ditch their water guzzling turf grass lawns in favor of native and adapted plants. No sign of turf grass in this landscape and it wasn't missed due to excellent plant choices for our climate. There are more photos than I typically show in a single post since I didn't want you to miss a single detail. This first view along the front curb invites with repetition of form and texture combining soft perennials and spiky agaves. With the entire US in a deep freeze this a good time to look back on warmer days with a series of garden tours from 2014. 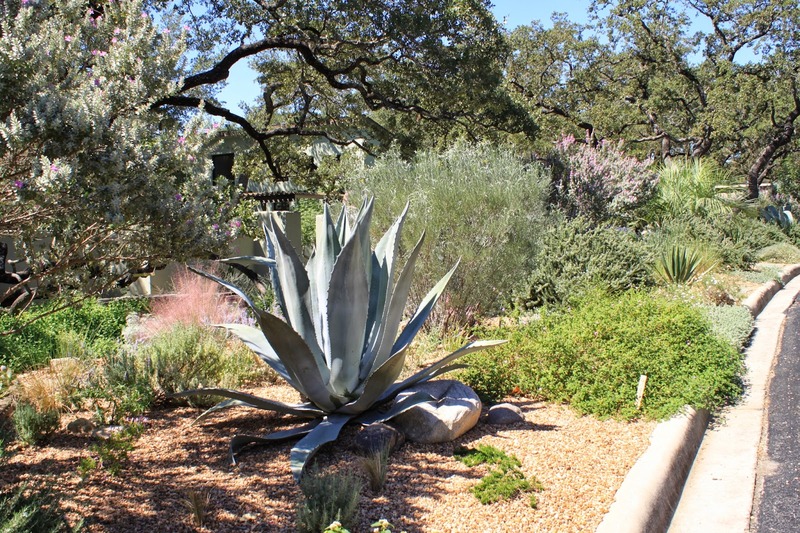 First up is a fun gardener's garden from the Inside Austin Gardens Tour sponsored by the Travis County Master Gardeners. Robin Howard Moore's family owned Howard Nursery which was an Austin institution for more than 70 years. Their first location opened in east Austin in 1912 so I'm pretty sure my grandparents, avid gardeners in east Austin, would have shopped there in the mid 20th Century. Robin now has her own garden design and coaching business and her garden was featured on Central Texas Gardener in 2013. Robin's love of plants, developed from years in the nursery business, stands out from the start with a large Cotinus or smoke tree at peak bloom commanding attention along the brick walk. For my first Wildlife Wednesday post of 2015 we're taking a look back at butterflies and a few other insects from last summer. 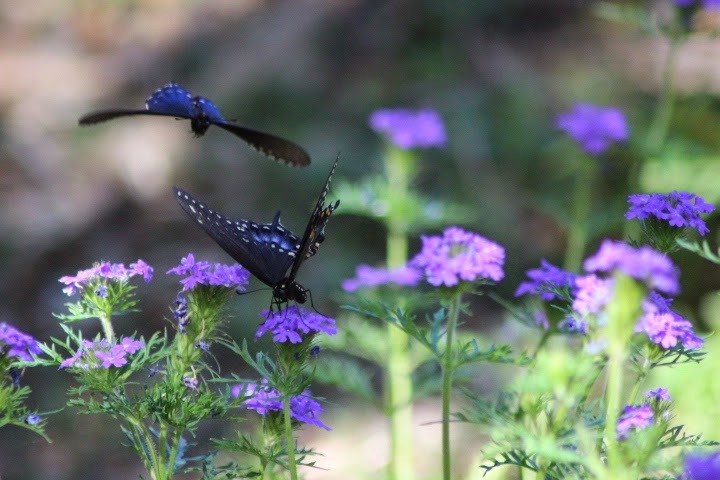 Wildlife Wednesday is hosted by Tina at "My Gardener Says..." and offers an opportunity for bloggers to share wildlife visitors on the first Wednesday of each month. Year-end posts are a challenge, especially for 2014 which started off slowly for the blog. Call it my third-year slump, the posts just didn't flow as freely. But I didn't stop taking photos which means plenty of interesting things didn't get posted. So instead of featuring my favorite photos from the blog for 2014, I'm featuring those I didn't post. Some of these are from previous years and a few were in mini posts. So call this my random collection of photos and thoughts from the unpublished archives. My garden club toured the Sandy Oaks Olive Orchard on a cold, windy day in November of 2013 the lunch was wonderful but I didn't get a lot of good photos. 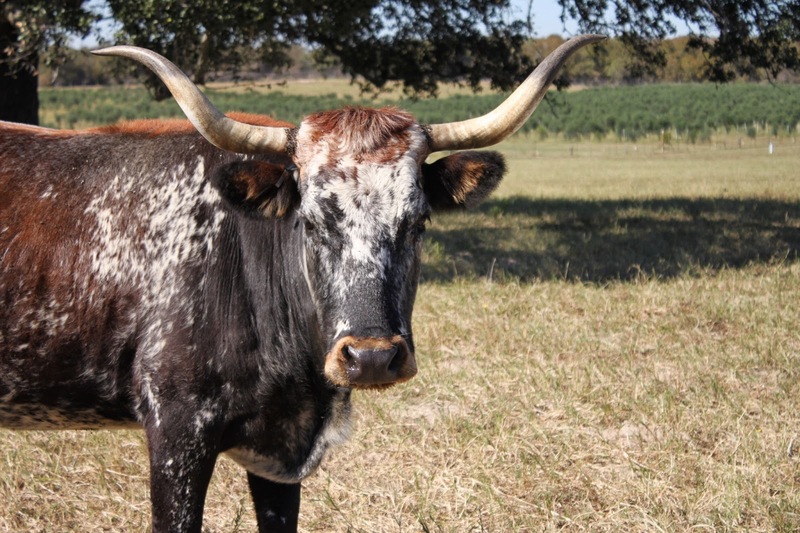 The sun appeared long enough for a Texas Longhorn encounter, the camera is over the fence and he's not too sure about this. Olive trees on the rolling hill beyond add a spot of silvery green.